Donatello is the smart one but he also knows how to fight! 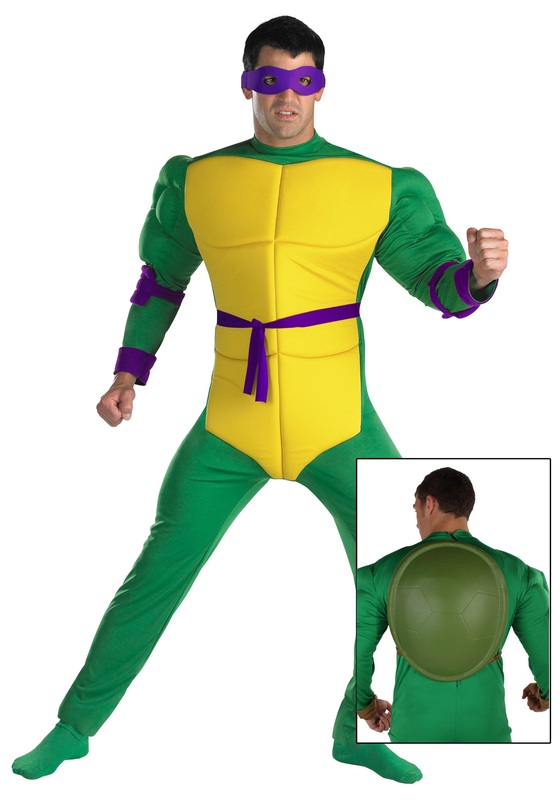 Embody your favorite member of TMNT in our mens Donatello Ninja Turtle Costume. It includes jumpsuit, turtle shell, elbow pads and eye mask. Wanna hit the town with a date? Check out our hot women's Ninja Turtle costumes!